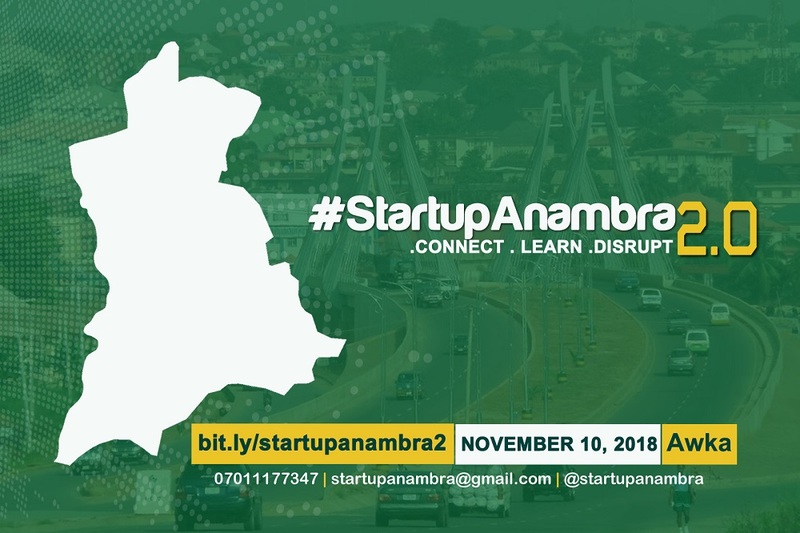 The second edition of the #StartupAnambra conference is set to return to Anambra state in Nigeria in November, with registration currently open to attendees and startups wishing to pitch live at the event. Dubbed #StartupAnambra2.0, this year’s event take the theme “Connect, Learn and Disrupt”, and aims to provide an enabling environment for innovative young people from within and outside Anambra state to learn from each other, forge connections and network, and access new opportunities. The event aims to encourage a shift away from conventional business models, towards an innovation-driven and technology-fueled business environment in the South East / South South region of Nigeria. In particular, #StartupAnambra wants to develop Anambra state into the innovation and tech hub of Nigeria. The conference will also feature a pitching event for startup founders and entrepreneurs with problem-solving ideas, where they will pitch their solutions to an audience of peers and investors. Based on the success of the inaugural conference held in December last year, the organisers hope to see up to 2,000 attendees join the event this year. #StartupAnamra2.0 takes place in Awka, on November 10. Registration to attend is open here. Entrepreneurs wishing to pitch at the event can apply here.